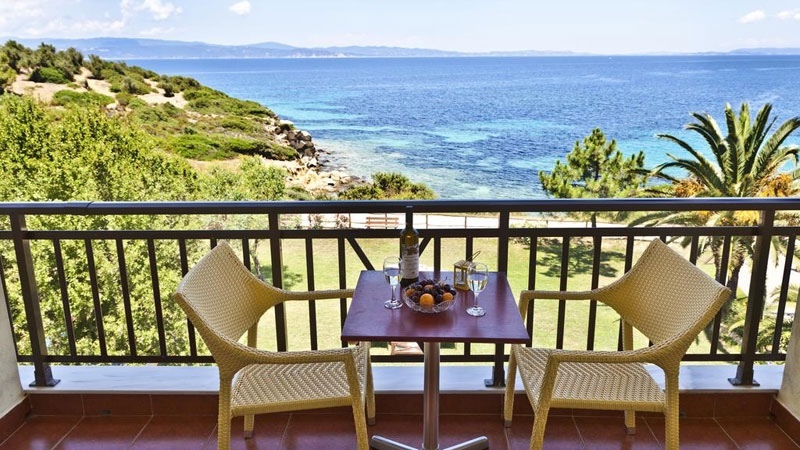 Barbagiannis House offers you one of the most spectacular views in Ormos Panagias, Halkidiki. 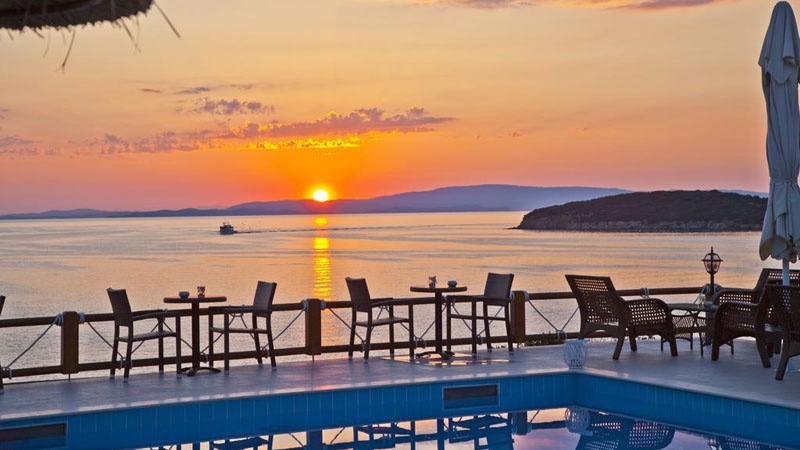 Perched on a cliff above the Aegean, relax around the swimming pool or enjoy an early morning coffee as the sun rises over Mount Athos! 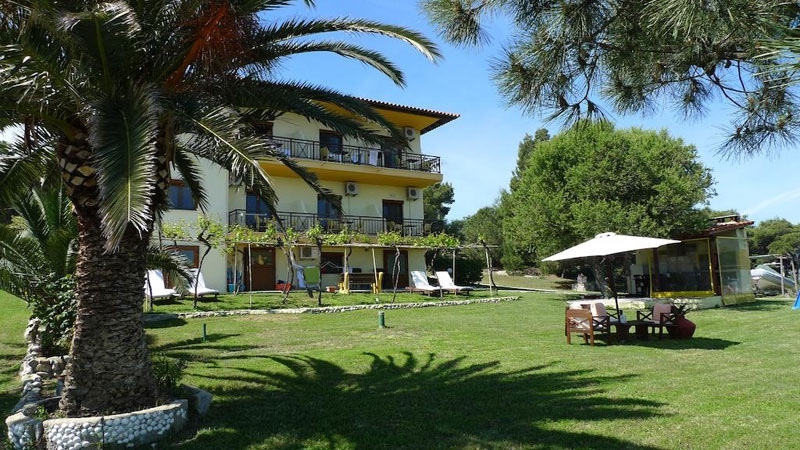 Barbagiannis is a small family run hotel that has worked hard to provide its guests a high standard of comfort. The stunning pool is located in a large private garden and gives you close access (100 meters) to the “Blue Flag” Train Ammouda beach. Start your day with a generous free continental breakfast. Parking and WiFi internet are included for free. 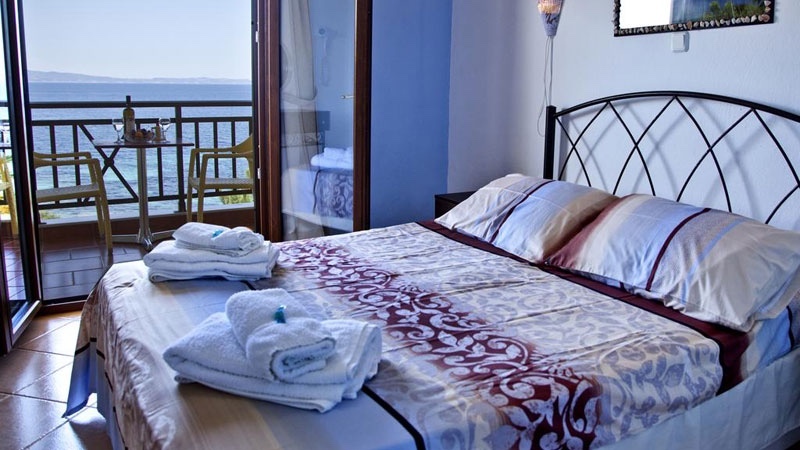 The rooms are equipped with a sea view balcony offering amazing views. The bathroom has a shower, a hair dryer and toiletries. There is also a refrigerator, kettle, air conditioning and a television. 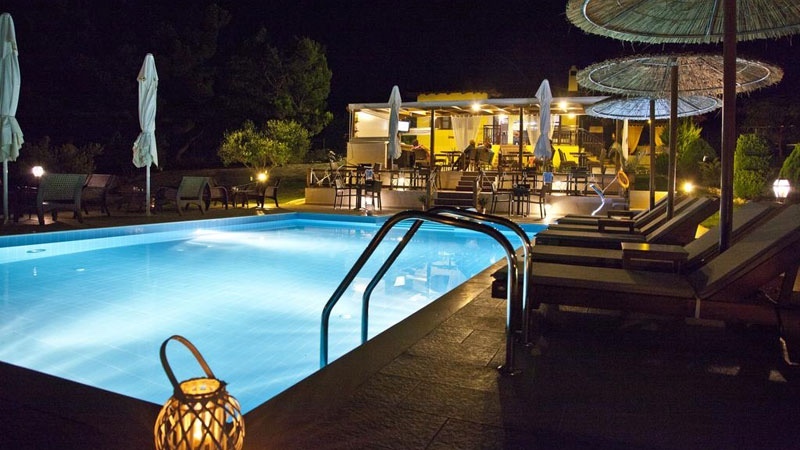 The beach is just 100 meters from the hotel and there are shops and tavernas just meters away in Ormos Panagias. 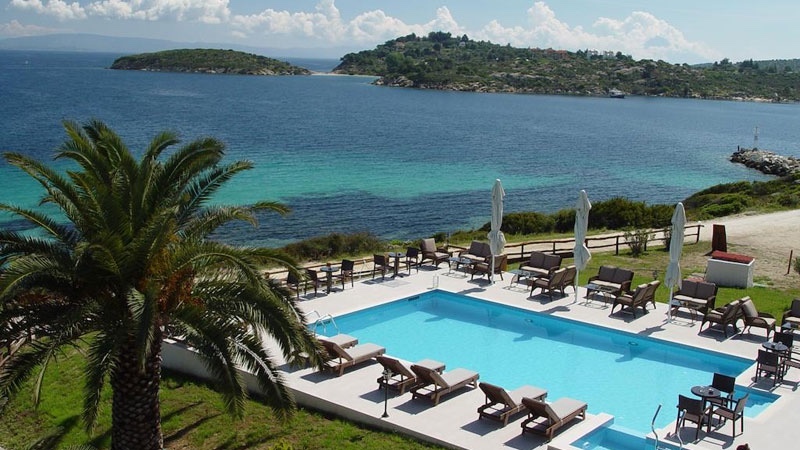 Barbagiannis House is perfect for couples looking for romance. 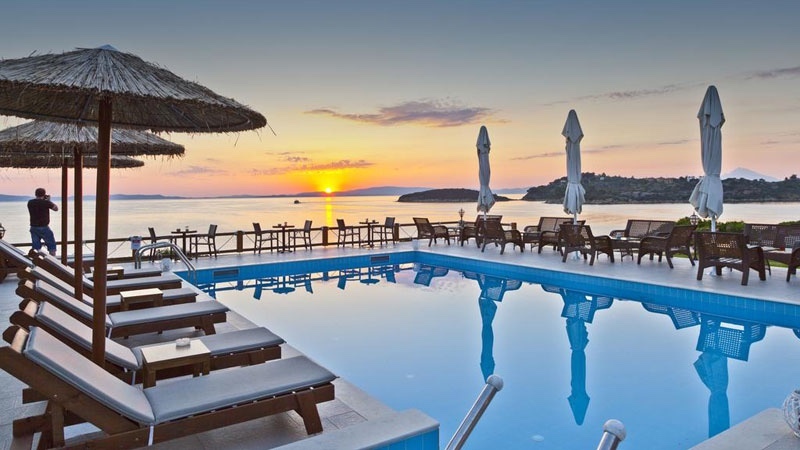 You have stylish rooms, a pool and stunning views. Oh, and no cooking just enjoyment!